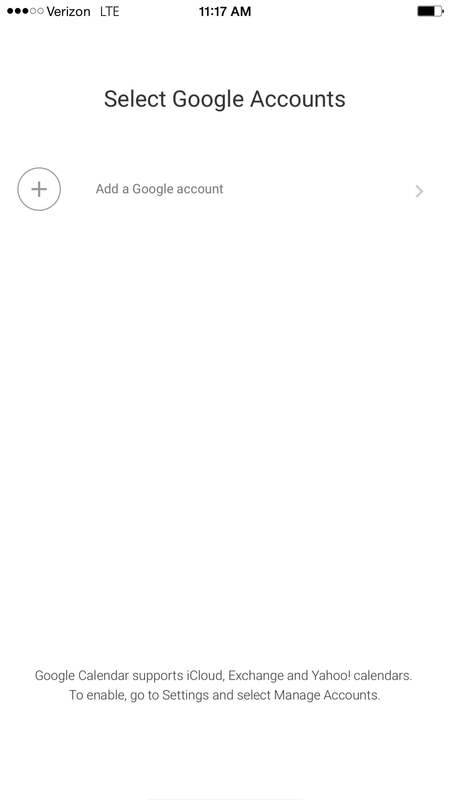 You can access your Connect Calendar account on your iOS device using either Apple's built-in Calendar app or with Google's Calendar app. 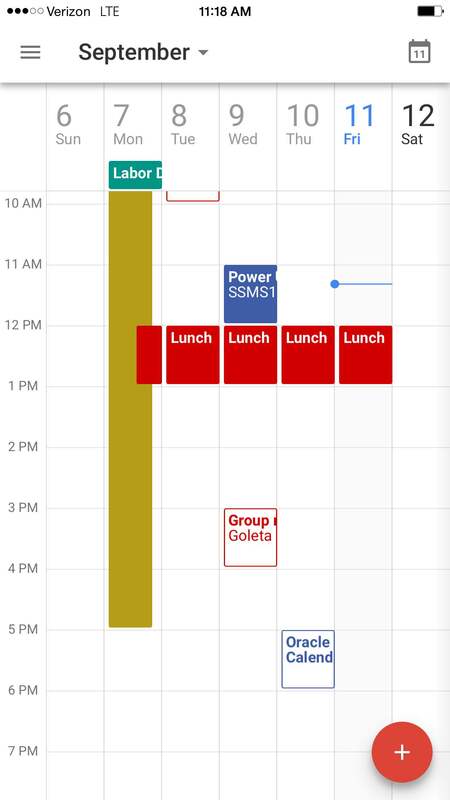 We recommend the Google Calendar app for the best experience, but either option will work. 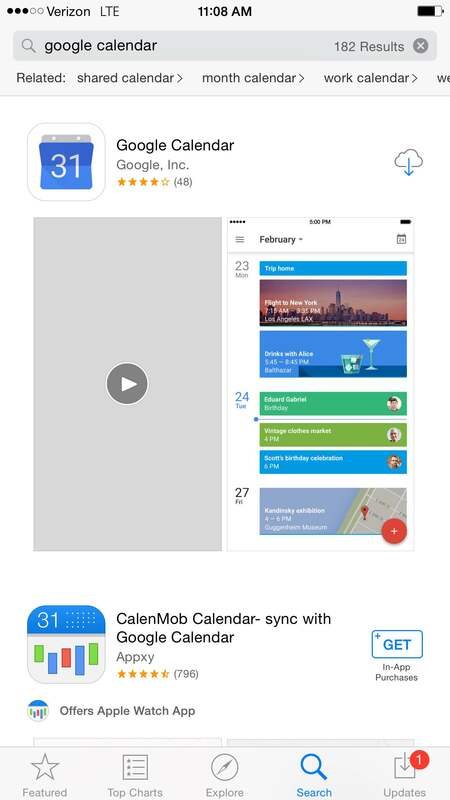 Open the App Store app, search for "Google Calendar" and install the "Google Calendar - by Google, Inc." app. 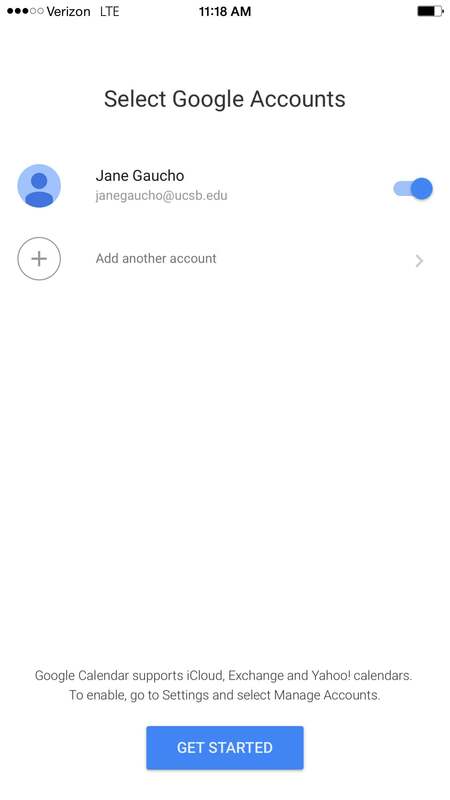 Open the Google Calendar app and log in with your Connect Address (UCSBnetID@ucsb.edu) for the Username, and UCSBnetID password, and click Sign In. 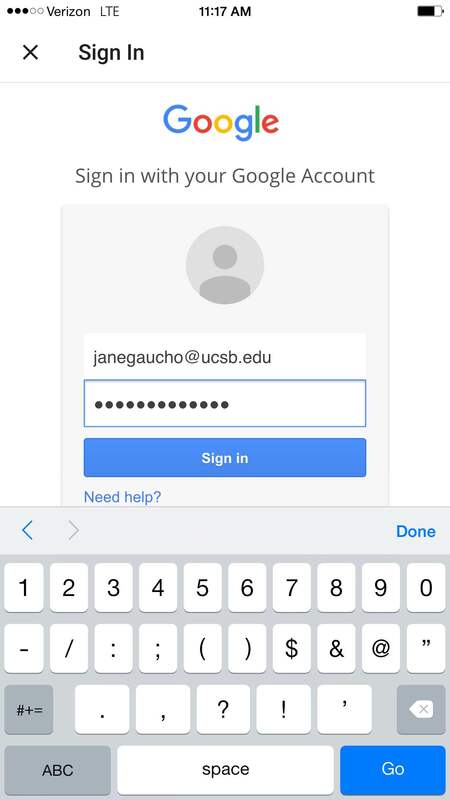 You may need to click Add a Google account if you are not prompted to sign in. 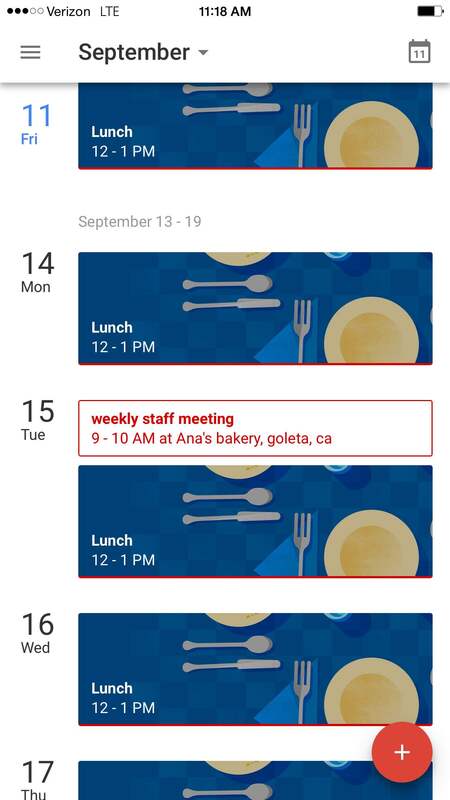 If you already have the Gmail app then it may log into your calendar automatically. Click on the hamburger icon in the upper left corner to change the view. The default is Schedule view. This is the weekly view.